If your simulator is older and could use an upgrade, we can help! Keep your game tuned up during winter. Drop us a line. . .
Top of the line golf, hunting and sports simulators now available for your big event. Long term rentals available. “Everything went very well! All of our attendees loved the golf simulator. “We felt, and our customers have confirmed, that the E6 graphics are simply better than any other simulator package we have seen! When you add that to the simplicity of the system, the library of courses available and the full extent of formats you can provide to your customers, the E6 simulator has proven to be equal or BETTER than its higher-priced competitors!!!! By leasing through Ace Golf we have better cash flow management, which means better pricing for our customers! The founders of Ace Indoor Golf have a combined experience of over 20 years in the indoor golf simulator industry. We have installed over 500 simulators in both the commercial and residential markets. By representing more than one manufacturer, we can customize our products to meet our customer’s specific demands. 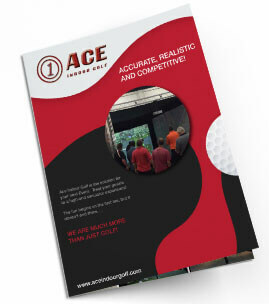 Ace Indoor Golf has run for-profit indoor golf centers and we know what it takes to be successful. 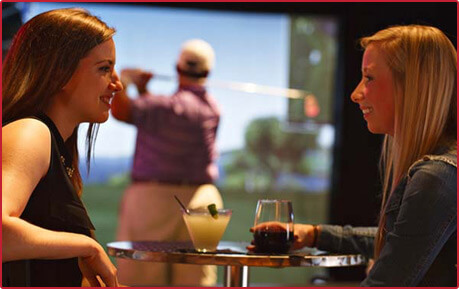 Through our rental program, we allow our customers to get into the indoor golf simulator business with minimal capital expenditures. We provide pro-forma templates and share our marketing concepts to ensure your business is highly successful. After all, your success is our success!